these look so nice — thanks for showing the projects and the link! love this pattern but cannot open the pdf… is this available in any other format? Leslie: I just tried the link again and it worked. I can see the pdf just fine. Try it in another browser maybe. I can’t figure out why you can’t open it! It should work. 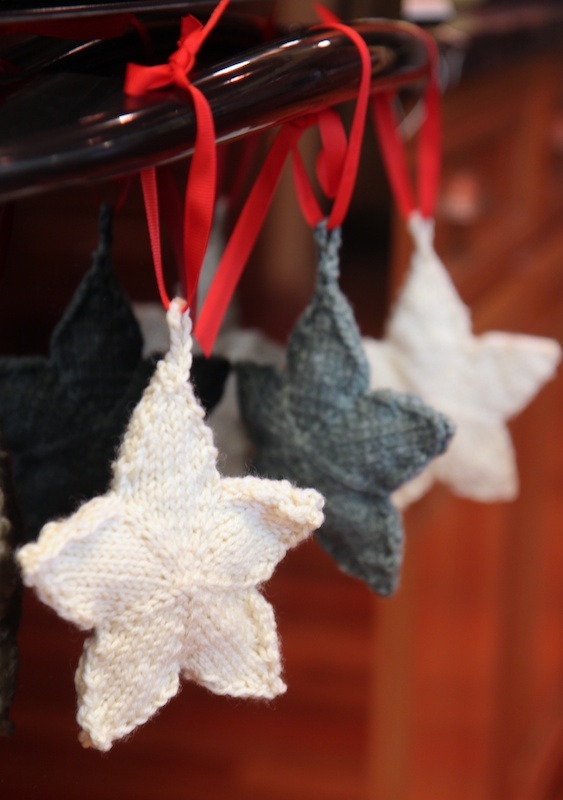 Love your knitted stars! I might just copy you! Hope you had a lovely Christmas time with your loved ones. 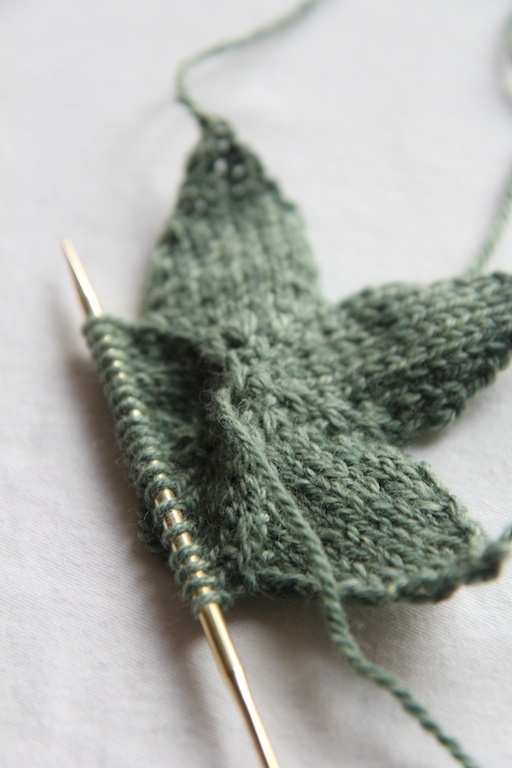 I tried this pattern but there seems to be a counting error beginning on row 5. I thought I could correct it at that point but the stitches don’t come out as the pattern states. Granted, I did try this at 6:00 am, but each time I tried it it came out to be a miscount. 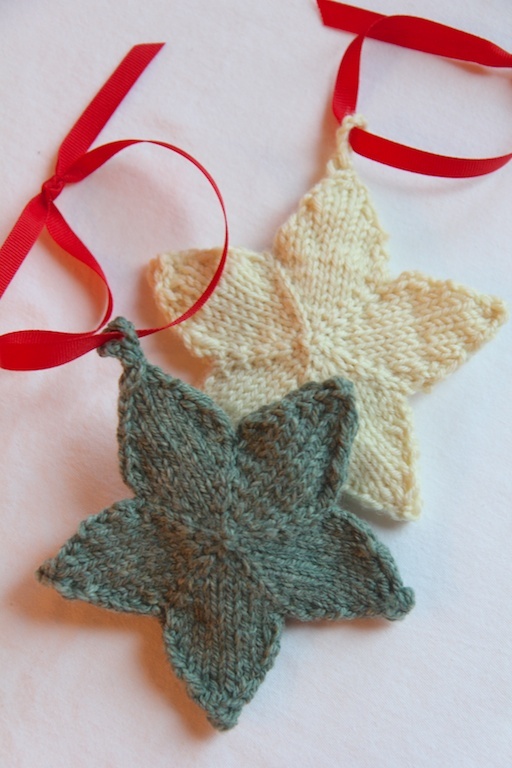 I so liked the stars and am hoping to get it worked out. Toni: Have you tried again? 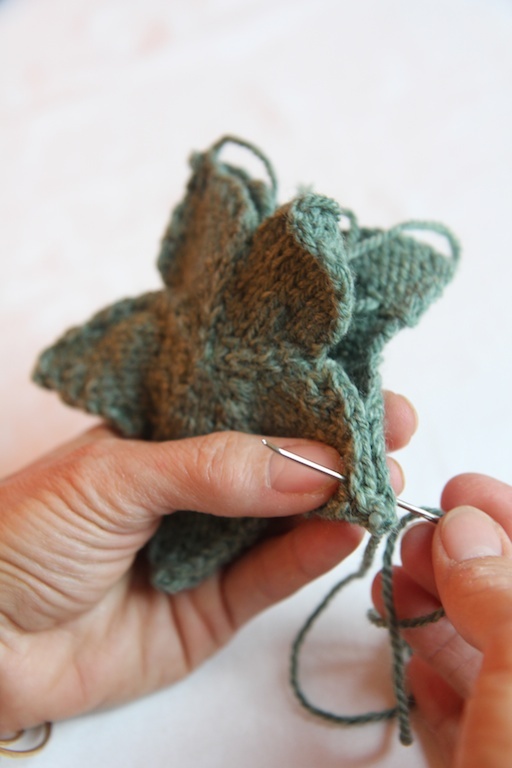 Recount the stitches – the pattern is correct. Please check again and let me know. This happened to me too. If by line 5 I was to have 30 stitches, I would have to kfb, k1 instead of k2. Did that not happen to you? 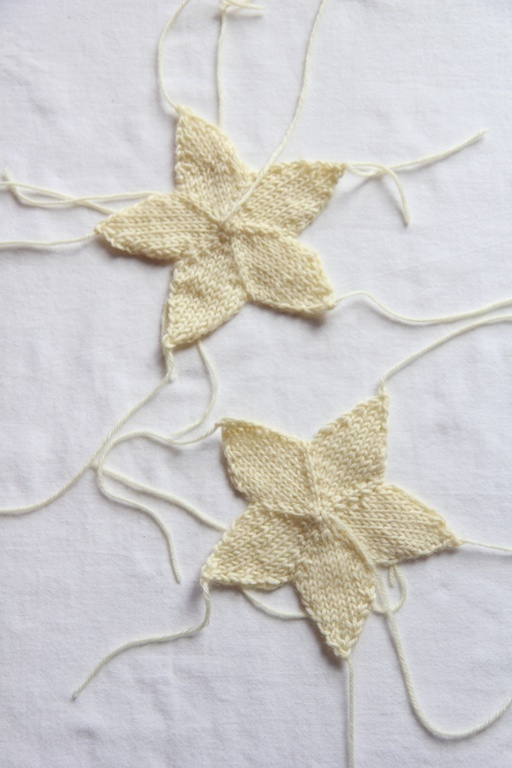 Jerra and Toni: I did another sample star this morning to check out line 5 and it came out correctly, with 30 stitches. I think I know possibly what you did on line 5. The pattern calls for *kfb, k2, kfb* and then to repeat this sequence. That would mean that you kfb, k2, kfb, kfb, k2, kfb, kfb, k2, etc. Do you see how you have to do two kfb in a row? If you do the repeat wrong (kfb, k2, kfb, k2, kfb, k2. . .) it won’t come out right. Do you think this might be what happened? Try again and let me know! Yes! That’s exactly what I did. Thank you so much! !